(CNS): As government makes a push towards the long promised e-services for the public sector, it is starting in earnest with scholarship applications. Starting tomorrow, students applying for local or overseas scholarships from the government will now have to make their application online. Officials from the education ministry have said that they will not accept applications via any other means for the next academic year. The Scholarship Secretariat said changes to the application system take effect Wednesday, 18 December and they have directed applicants to the Education Council Scholarships Online Programme launched in February last year. In a release to the mediaon Tuesday morning, the secretariat said the online programme streamlines the process for both applicants and administrators and allowed students to track the progress of their application. Following the recent controversy of students receiving Nation Building Fund grants, some of which were more than three times the amount of normal government scholarships, officials re-confirmed that the Education Council is the only body to which students can apply for public money to study, since it has taken over the NBF grants and reduced them in line with the $20,000 given to all other qualified students. The scholarship site also lists the range of various local and overseas tertiary scholarships that are available from the Education Council and include the RBC Harry Chisholm Scholarship, the Gwen Bush Memorial Scholarship, the MACI (Maritime Authority of the Cayman Islands) Scholarship as well as the standard overseas and local scholarships. Students were also asked to pay special attention to the academic requirements for each type of scholarship as well as the supporting documentation required as these may all differ. Changes to application dates are effective immediately, the officials said. “All qualified applicants for overseas scholarships will be required to apply online at the Education Council Scholarships Online Programme, December 18, 2013 to February 15, 2014. All qualified applicants for local scholarships will also be required to apply online, however these applications will only be received March 1 to April 30, 2014. No applications will be accepted other than through the online application programme and only during the periods noted,” the release stated. Deirdre Seymour, Manager of the Scholarship Secretariat, explained the reasoning for the changes to the system. “The changes have been introduced to improve the efficiency and tracking of the application process for the benefit of the applicant and separating the dates for overseas and local scholarships enables more efficient processing as well,” she said. Applicants can access the online programme here or by visiting the Education Ministry website, selecting the “Education” tab, then clicking on "Scholarships". (CUC-PFL): The third round of the 2013/2014 CUC Primary Football League (PFL) Playoffs this past Saturday, December 14 marked a turning point for a few schools searching for valuable points. In the Under 9 Champions Cup, an undefeated Savannah Primary secured a place in the semi finals with one more round remaining after a hard-fought 1-0 victory over Cayman Prep. Akiel Bodden was the hero for Savannah as he blasted in the winner in the 20th minute. Cayman Prep led by Pierce Terry, made life difficult for the boys from Savannah but could not find that all-important equalizer. In other Under 9 Champions Cup games, NorthEast Schools held Sir John A. Cumber Primary to a 0-0 draw and Cayman International School downed Prospect Primary 3-0 thanks to two goals from Luis Magno in the 9th and 44th minutes after Jonathan Rado had opened the scoring in the 8th minute. In the Under 9 Consolation Cup, Truth For Youth defeated Triple C 7-1 and Bodden Town Primary downed George Town Primary 6-0 with Jacobi Tugman netting three goals, Breshawn Watson scoring twice and Shakeem Williams adding the sixth. In the Under 11 Champions Cup, previous winners George Town Primary secured their first win of the 2013/2014 Playoffs with a 3-1 victory over Prospect Primary. George Town’s previous two games in the first and second rounds had resulted in disappointing draws with South Sound Schools 2-2 and NorthEast Schools 3-3. The boys from the capital were in complete control of both games until a lapse in concentration cost them the points. Against Prospect Primary, Coach Gillie Seymour’s team fell behind early to a Sabrina Suberan strike but fought back to equalise through Isaac Ebanks, take the lead through Micah O’Garro and secure the win compliments of a Jordan Sommerville strike. With Micah O‘Garro missing a penalty early in the second half and the chance to take the lead, it seemed George Town Primary were destined for another disappointing result but with the defence playing well and the forwards finally finding their shooting range, players and supporters alike left the Annex Field in high spirits. In other games in the Under 11 Champions Cup, Sir John A. Cumber escaped with a 1-1 draw against NorthEast Schools. Sir John A Cumber’s Daniel Wallace opened the scoring in the first half only to see NorthEast’s Jacquan Miller equalise in the second. Young Miller had the chance to put his school in frontbut blasted a penalty straight at the Sir John A. Cumber goalkeeper. St. Ignatius Prep played their best game of the Playoffs in a tightly contested 1-1 draw with Cayman Prep. St. Ignatius’ Brad Lansdell opened the scoring only to see Prep’s Aaron Jarvis equalise late in the second half to salvage the draw and a point for the defending champions. In the Under 11 Consolation Cup, Truth For Youth bagged its second win in the Playoffs and secured a place in the semi finals with a 3-2 victory over Red Bay Primary. 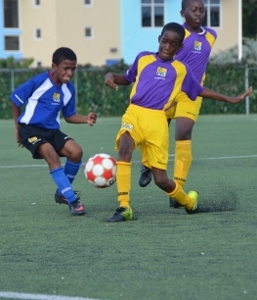 Cayman International School also cemented its place in the semi finals after defeating Bodden Town Primary 4-3. Special thanks to Shakur Welcome and Thomson Hew for handling the officiating duties. Games in the 2013/2014 CUC PFL Playoffs resume on Saturday, January 11, 2014 with the Fourth Round of play as schools have a final opportunity to capture a spot in the top four and secure a place in the semi finals. (CNS): Two weeks into the festive season clampdown on drunk drivers and other traffic offences, police have already arrested a total of 25 people who were caught behind the wheel either drunk or driving while disqualified or unqualified. Police have also issued hundreds of tickets and attended the scene of dozens of crashes since the 'Stay Alive' campaign started. So far, police have counted 55 traffic accidents that were reported over the two weeks, including ones which resulted in serious injury. 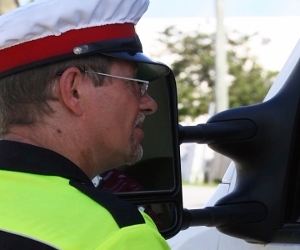 Superintendent Adrian Seales, who is leading the Christmas crackdown on road offences, said he continued to be concerned about motorists’ blatant disregard for their safety and the safety of other road users. “We pre-warn the public of our continuing efforts in maintaining safety on our roads, but some choose to ignore our warnings and infringe our laws. I am appealing to motorist not to become a statistic because it is just a matter of time before you get caught,” the senior officer stated. The RCIPS road safety campaign started on 29 November and will run until the 5 January. The goal is to raise awareness of road safety and encouraging drivers to obey the law. While drunk drivers are a key target given the time of year, the police will also be on the lookout for all traffic infringements. CNS): The Information and Communications Technology Authority, which is responsible for all types of broadcast services in the Cayman Islands, has announced plans for a public consultation over what defines local television programming. All firms that receive a licence to sell a TV service are supposed to provide some localprogrammes but not all of them do, despite the legal requirement. The ICTA said that there is currently a discussion as to what local television means and it intends to provide recommendations to government in relation to the future of local television content and what it should be. In a release from the authority on Monday officials said the consultation process will begin in the New Year, when the ICTA will call for input from all those interested in the future of local television broadcasting in the Cayman Islands. Currently the type of local programming on the TV provided by the various broadcasters is very limited and confined to government and local talk shows, educational programmes, work produced by Government Information Services and live coverage of the proceedings of the Legislative Assembly. As part of their provision of television services, LIME, Logic and WestStar each provide a free television channel, which is what is referred to as their respective local channels that are provided to the public. Logic broadcasts its local content on Channel 23 and WestStar on Channel 27 over-the-air. LIME provides its free channel by installing a free LIME ‘box’ in your home that connects directly to your television set and customers need to visit a LIME store to have the special box installed. Two other additional licensees are licensed by the ICTA to provide television services, Infinity Broadband, who call themselves C3, and Digicel, but they are not yet providing such services. Not everyone receivesthe free channels, which may be because they don’t have the relevant equipment or because of the type of television set being used, and the ICTA recommended that viewers contact the providers to get the specifics on what may be required to receive the channels. 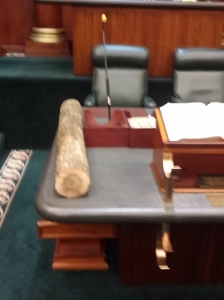 (CNS): Over the years thousands of documents have been tabled in the Legislative Assembly for public access but for the first time in history last week an Ironwood log was laid on the parliament’s table by the member for East End. Responding to the criticism about objectors to the National Conservation Law by Environment Minister Wayne Panton, Arden McLean brought the piece of local tree into the House to make a point about conservation in the eastern districts without the need for legislation. The independent members have largely rural constituencies with small populations and have raised concerns that their districts will be targeted for land grabs by government. Both McLean and North Side MAL Ezzard Miller suggested during the debate that the government would be seeking to forcibly acquire or intimidate their constituents into giving up their land in North Side and East End, where most of Cayman’s remaining natural resources now lie, as a result of the destruction of George Town and West Bay because of development. During last week’s LA debate on the conservation law the log became symbolic for the debate and in particular for the eastern district members, as McLean said that the people of East End would see the National Conservation Law as an encroachment on their past guardianship of the eastern side of the island by those in the western side who have “cut down all their trees and now they want to come and save East End”. During his presentation of the bill Panton suggested that people talked a lot and claimed to support conservation while deriding the law, and he accused them of being prepared to cut down an endangered Ironwood tree so they could sit on the stump and talk about conservation. McLean said he found it offensive and had brought the log to show to Panton and the other members as he suspected that some of them may not recognize what Ironwood looks like. It was Ironwood that had played a part in putting an end to plans for a new road in George Town when McLean was responsible for roads when he served in the 2005-2009 PPM cabinet. Found nowhere else in the world, the local species of Cayman Ironwood is extremely hard dense wood and was in demand for building purposes throughout the islands' history. Many were cut down as a result and the tree is now endangered . Although McLean was to eventually support the law following a number of changes, such as the retention of spear fishing for locals already in possession of spearguns, during the debate he suggested the law would stifle the country. (CNS): The international crime fighting agency INTERPOL is asking the people of the Caribbean and the Americas to help them track down a list of international fugitives linked to organized crime networks and wanted for offences such as murder and drug trafficking. Crime Stoppers International (CSI), in conjunction with its programmes in the region, is supporting the global fugitive hunt, called Operation INFRA (International Fugitive Round Up and Arrest). The initiative aims to involve the wider public in as many countries as possible to report what they may know about any of the 266 fugitives on the 'most wanted' list where the trail has gone cold for domestic police. From Monday, in collaboration with the local and regional media, an intense effort is being conducted to encourage the public to assist INTERPOL in tracking down the most wanted criminals who are believed to be resident in this region. Photographs and details of the people of interest can be viewed at www.interpol.int and anyone with information on these fugitives can contact their local Crime Stoppers programmes anonymously. Alternatively, they can provide information directly via the INTERPOL website, but although this is confidential, information cannot be given to INTERPOL anonymously. Forty-six countries and territories are involved and priority is being given to 15 specific individuals, including Rafael Caro-Quintero, the former leader of the Guadalajara Cartel in Mexico (above). The fugitives are believed to be hiding out in Central America, Colombia, Ecuador, Peru, Venezuela or the Caribbean. They are all cases where no new leads were generated during the initial phase of Infra Americas, or where there is no current intelligence on the potential location of these individuals. Ervin Prenci, criminal intelligence officer with INTERPOL’s Fugitive Investigative Unit, which is coordinating Operation Infra Americas, said the public could provide vital leads in helping to bring these fugitives to justice. Information on the possible location of the targets of Operation Infra Americas or any internationally wanted persons can be sent to INTERPOL’s Fugitive Investigative Support unit. Any leads will be passed on to the INTERPOL National Central Bureaus concerned for further action on the ground.